A 1972 Lanphier High School graduate. Davenport played field hockey, basketball and softball at Greenville college and is a member of the Greenville Hall of Fame. She was the MVP in each sport during her career, and in 1972 she was voted the school's Female Athlete of the Year. She was a three-year starter in basketball, led the team in scoring three straight times and averaged 20 points a game during that time. She set the school record with 36 points in one game and established a school record by scoring 1,241 points. She was chosen to play on an Illinois all-star team against the touring Soviet team in 1976, the first year of women's basketball in the Olympics. That Soviet team went on to win the gold medal in the Olympics, and Davenport was the leading scorer against them in the exhibition game. In softball she batted between .380 and .400 in each of her varsity seasons, and she played professional softball for the St. Louis Hummers. She played ASA fast-pitch softball for 26 years as a member of the Davenport Builders team that won a state championship and a Decatur ADM team that won a state title. She also coached volleyball, basketball, softball and track on the high school level in Springfield for almost 20 years. Played baseball at Springfield High School from 1927-30 as an outfielder and also played on several semi-pro teams in Springfield as well as a championship American Legion team. In 1932 he was awarded a scholarship to Illinois Wesleyan University for baseball, and in 1935 he was chosen team captain and named to an All-American tam that toured Japan and the Orient. In 1936 he signed with the St. louis Cardinals as a catcher, and in 1937 he signed with the St. Louis Browns, where he became the youngest manager in organized baseball at age 24. He played and managed in the Browns' organization until 1942 when he was drafted into the military. A shoulder injury suffered during his military career ended his baseball-playing days. Springfield High School graduate (1965) who competed in basketball, cross country and track and field. He was the city pole vault champion as a junior and competed in the intermediate hurdles at the University of Missouri. His greatest success came as a coach at Plainfield High School from 1969-72 and then at Lanphier from 1972-89. Halberg coached track and cross country at Lanphier for 17 seasons, and his teams dominated both sports on the local scene. His 1982 cross country team placed third in the state, the highest ever by a city team and one of the best in the more-than-50-year history of the meet by a downstate team, and five times between 1978-89 his teams placed among the top 10 teams in the state meet. His boys cross country teams won 14 straight City Meet titles between 1975-88, and his boys track teams began a run of City Meet titles in 1977. In 1979 one of Halberg's runners, Jim Files, won the Class AA state cross country title. He's a seven-time winner of the South Central Illinois Track and Cross Country Coaches Association's Coach of the Year award in cross country and track. 1976 Springfield High graduate scored 1,304 career high school points, and when he graduated he was the No. 8 scorer in city history and No. 3 on the SHS scoring list. As a senior he averaged 16.7 points and 10 rebounds a game earning a scholarship to Bradley University. McMath became an immediate starter at Bradley and remains the only freshman ever to lead the Braves in rebounding. The team leader in rebounding for three seasons (1976-79). McMath left Bradley as the school's No. 5 rebounder and currently ranks eighth on the rebound list. He was a four-year letter-winner and team captain as both a junior and senior. He was sixth man and captain of Bradley's 1980 Missouri Valley Conference Championship team that earned the school's first NCAA tournament bid in 26 seasons. He won the Gene Morse Award as the Braves' top defensive player from 1978-80 and also won the Bill Roecker Most Improved Award in 1979. In 1979, McMath was part of a Bradley defensive double-team that limited Indiana State All-American Larry Bird to a career-low four points and two shots. McMath is a member of the Bradley Hall of Fame. He's currently living and coaching in Australia. Lanphier High School graduate (1955) who achieved all-city honors in basketball and baseball as a senior. He was the sophomore coach at Lanphier from 1967-74 and the head varsity coach from 1975-93. He ranks No. 4 in city history with a 254-245 record in 19 seasons as a head coach. His 1983 team went 30-3 and won the state title and his 1977 and 1985 teams placed second in the state tournament. His teams won six City Tournament titles, five regional titles and three sectional titles. He was the Illinois Basketball Coaches Association Coach of the Year in 1983. He served as head coach of the South team for the Illinos Basketball Coaches Association All-Star Game in 1992. He retired as a teacher and coach in 1993. Nika is a Lanphier graduate who also played basketball and baseball there. The Lanphier gym has been named in the honor of Nika and his high school coach, Arlyn Lober the winningest coach in city history. Griffin High School graduate who was the third overall pick in the June 1981 free agent draft, the highest any Springfield player has ever been drafted. He's the all-time leading scorer in Griffin basketball history with 1,326 points, was an all-city and all-state pick in both basketball and baseball in high school and also played on state championship golf teams in high schoool. He spent 13 seasons in the major leagues with California, the Mets, Toronto and the Dodgers. He finished with a career batting average of .233 with 56 major league home runs and 353 runs batted in. But it was defensively that he really excelled, and in 1992 with the Mets he led all National League shortstops with a .988 fielding percentage and his seven errors for the entire season were the fewest by an NL shortstop with more that 600 chances since Larry Bowa made six in 1979. He led American League shortstops in fielding in 1984, '87 and '88. The Lions, coached by Bob Nika and featuring future NBA players Kevin Gamble and Ed Horton, finished 30-3 and beat Peoria Central 57-53 on March 19, 1983, for the Class AA State Tournament title. Lanphier beat Lockport 46-45 in the Normal Supersectional, Knocked off defending state champion East St. Louis Lincoln 55-47 in the quarterfinals and Harvey Thornton 54-52 in the semifinals. Team members were Mark Alstott, Clarence Briggity, Mike Craig, Clark Douglas, Kevin Gamble, Ed Horton, Darrin Kelly, Leslie Lee, Ralph Matthews, Moose Nika, Tyrone Pettif, Rick Poggi, Jerome Taylor and Mike Wolocik. Bill Coombes - A Michigan native, he came to Springfield in 1950 after graduation from Michigan Tech University to work for the Illinois Department of Transportation. He was involved in the establishment of the Springfield Youth Hocky Association in 1962, and he has been active in the SYHA ever since. That program has grown from 30 skaters in 1962 to nearly 500 currently. He also has worked for the Springfield Junior Blues since their inception five years ago and, at age 70, remaines active in all forms of hockey in Springfield. Tom Gagnon - 1950 Springfield High School graduate who played football and participated in track. He coached summers 1958-92. and during those 35 years his teams won titles in Khoury League, Cy Young Little League, Pony and Colt leagues, Connie Mack and American Legion. He made a comeback last summer, helping coach the Bunn-O-Matic 7-8 year old team in Chatham. He also served as Cy Young little league president in 1968-69. 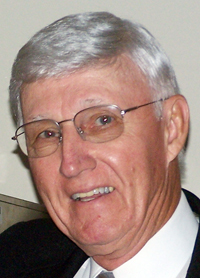 He was founding president and helped write the charter for the Southeast High School Athletic Club, served as its president for two years and was a member for 15. He coached the Laketown Elementary School basketball team from 1965-70 and was an assistant coach with the Southeast Packers of the Springfield Junior Football League from 1965-72. Roy Gillespie - A Cathedral High School graduate, he joined the staff of the Illinois State Register in 1952 and eventually became sports editor in 1955. He left that position to become an assistant to Lew Hayes in PONY baseball in 1958. He became commissioner of PONY in 1964 and president in 1981 before retiring in 1994. 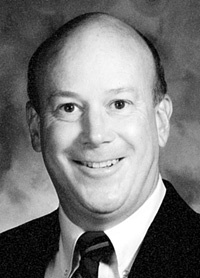 He's a past president of the National Council of Youth Sports and is a recipient of the USA Baseball Award of Merit. He and his wife, the former Rose Marie Fanale of Riverton, live in Washington, Pa.
LeRoy McDaniels - Started L&M Gymnastics School in 1975. He has developed boys and girls state and national team champions in the sport. Trained a Miss USA Cheerleader, coached 20 years at the University of Illinois Summer Gymnastics Camps and is a member of the US Elite Coaches Association for Women's Gymnastics. He is one of the most highly respected gymnastics coaches in the country.